In today’s world, breaches will succeed and the adversary is highly skilled in avoiding detection. The question is not “if,” but “when” an incident will occur. As IT complexity increases, skilled security analysts become harder to attract, keep and train. 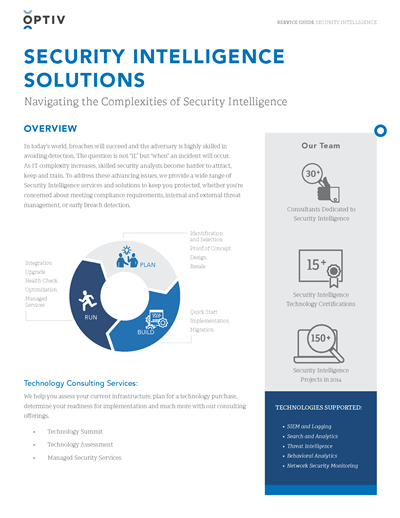 To address these advancing issues, we provide a wide range of security intelligence services and solutions to keep you protected, whether you’re concerned about meeting compliance requirements, internal and external threat management, or early breach detection.